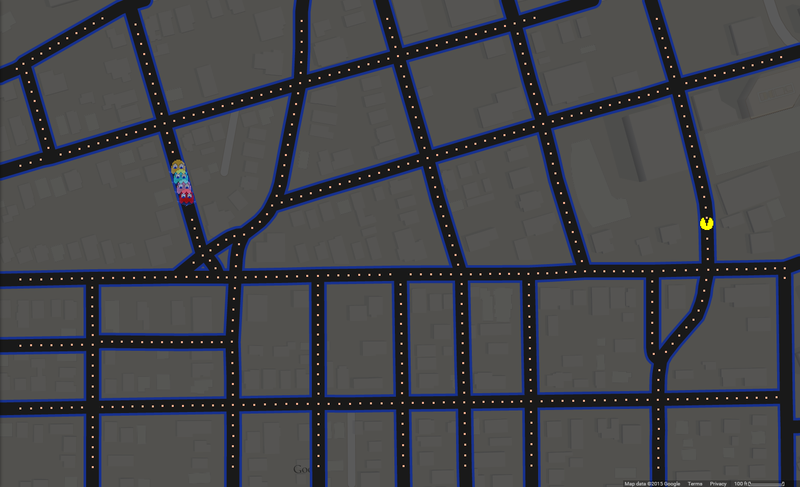 This year's April Fool's Day "prank" from Google - a long and storied tradition - was adding PAC-MAN to Google Maps, which, of course, inevitably led to several articles like Wired's The Top 15 Spots To Play PAC-MAN In Google Maps. 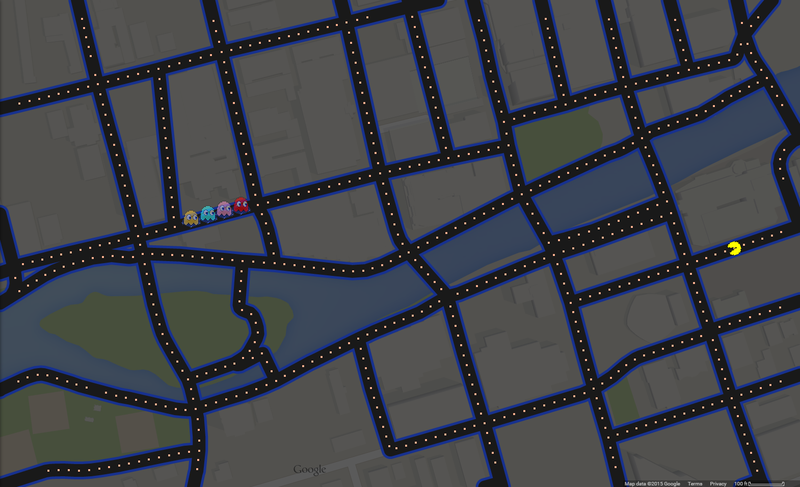 Of course, all of these lists focus on trendy, hip locations, like New York, San Francisco, Boston, or other trendy, hip locations that house online journalists or that online journalists aspire to live in, which is a shame - there are plenty of great places to play PAC-MAN that don't involve places with $40 parking. I honestly expected more from Arrowcreek, along with other developments of its type. 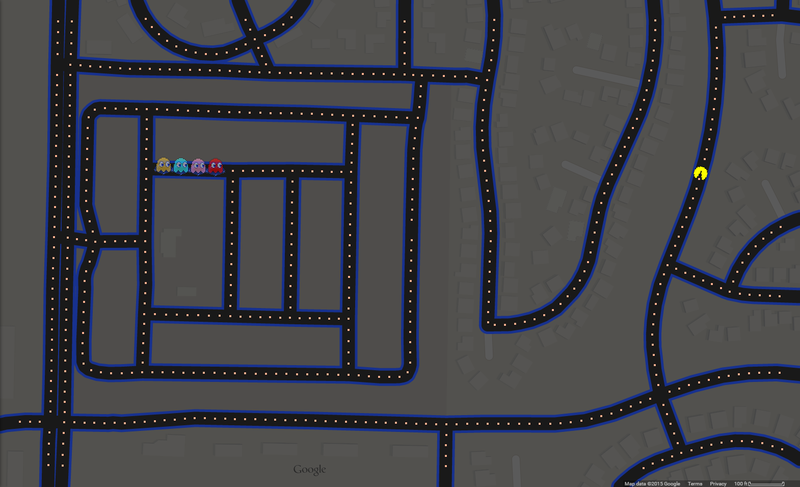 I figured the winding paths would make for some interesting PAC-MAN mazes; however, it turns out that Google's implementation of the game strongly prefers dense, packed neighborhoods compared to sprawling, spread out ones. Even so, Arrowcreek made for a few fun rounds - East Desert Canyon Drive makes for an excellent escape from the ghosts based on High Vista and Indian Ridge. It gets better from here, though. Now we're talking. The triangle where Liberty, Arlington and California meet was an absolute hellscape of frantic maneuvering and button mashing. Meanwhile, the old Southwest streets led to some rather interesting escapes. Though most of the newer subdivisions didn't lend themselves to effective PAC-MANing due to their relative lack of density, the shopping area around Caughlin Parkway lent itself nicely, especially when McCarran Boulevard was included. Thankfully, ghosts can't change lanes - less thankfully, neither can you if you have ghosts coming at you from both sides of McCarran. 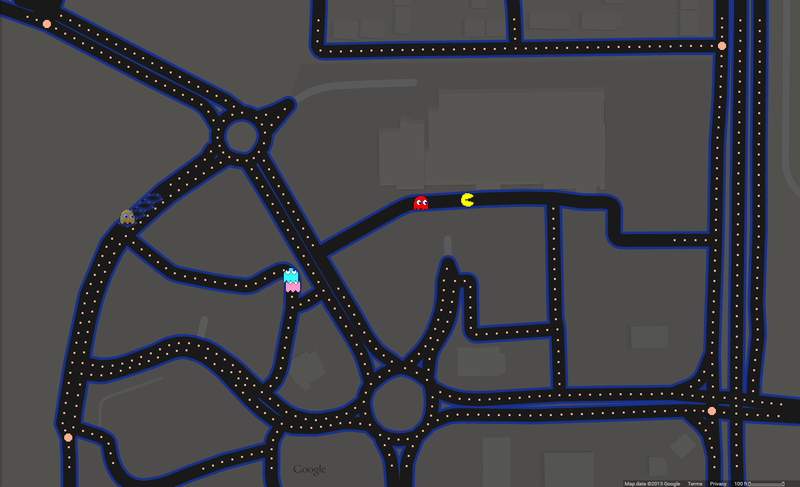 This was actually the first place I played PAC-MAN on, in no small part because of the roundabouts and because I drive by the place every time I go to work. Between Sparks Boulevard's three lanes on the right, the various roundabouts and exits, and the random little blind corners by the big box retail stores (good luck cleanly navigating near Target), you're in for quite the ride. 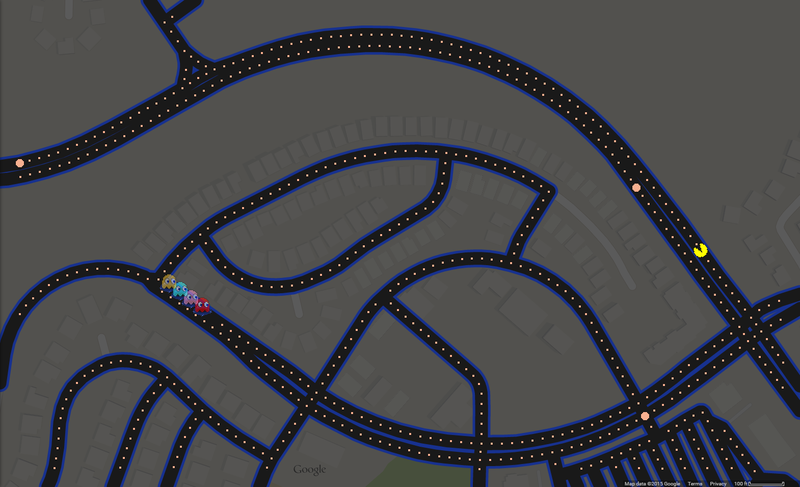 The fact that Google made it possible for me to run away from ghosts as Pac-Man in a cemetery tickled me to no end. 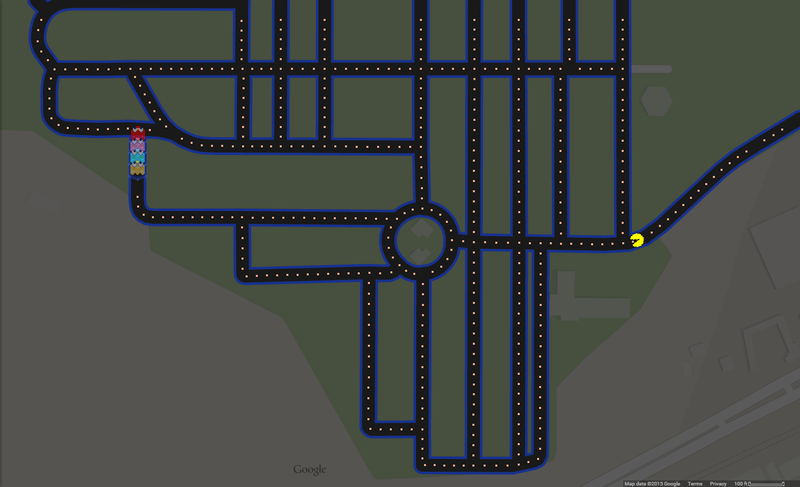 That Mountain View Cemetery actually makes a surprisingly decent PAC-MAN maze was icing on the cake. Be careful, though - all northbound lanes lead to the entrance to the cemetery on the right. 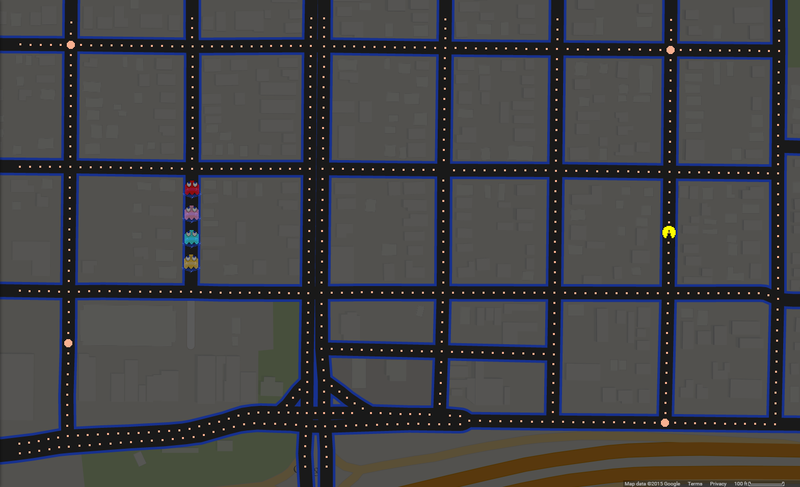 PAC-MAN really prefers older, denser neighborhoods, so I thought to myself, why not try a game on the oldest, densest neighborhood in Sparks? The results, like Sparks itself, were quite straightforward. The Sierra Shadows Mobile Home Park - the squarish area that the ghosts spawn in on the left - drew my eye, and I'm glad it did. It serves as a nice and dangerous counterpoint to the otherwise sprawling, meandering streets of the newer housing developments in Stead on the right. I don't think it would be an exaggeration to declare it a criminal offense to do something like this without including UNR somehow. 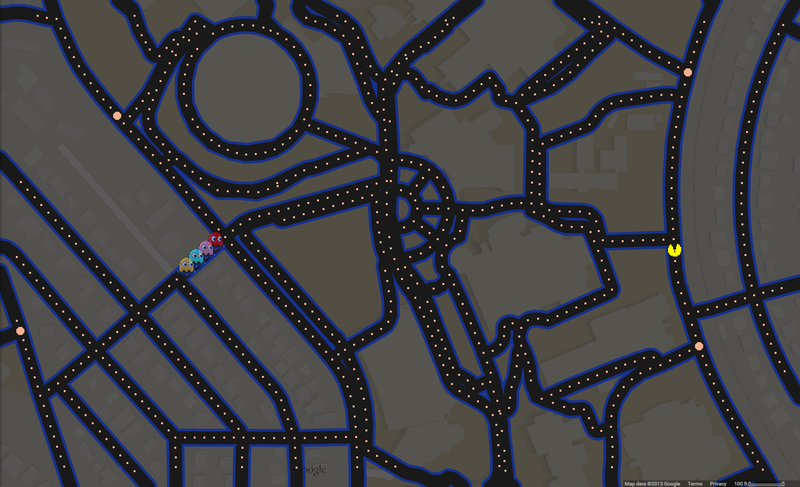 I was rather surprised with how detailed Google Maps decided to make the maze out of UNR's footpaths - you can not only clearly see Lawlor (the round circle at the top), but you can also see the better part of UNR's parking and street system. Ah, Verdi... small, simple, straightforward, green. Much like the actual town itself, come to think of it. Most of downtown Reno honestly doesn't map up very well due to the larger casinos, but, the older, tighter area by the river turned out nicely. 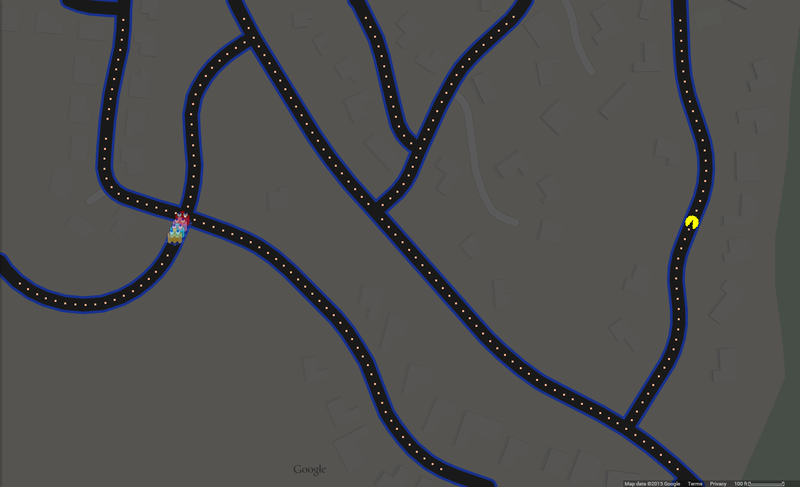 Have fun navigating around the Truckee. 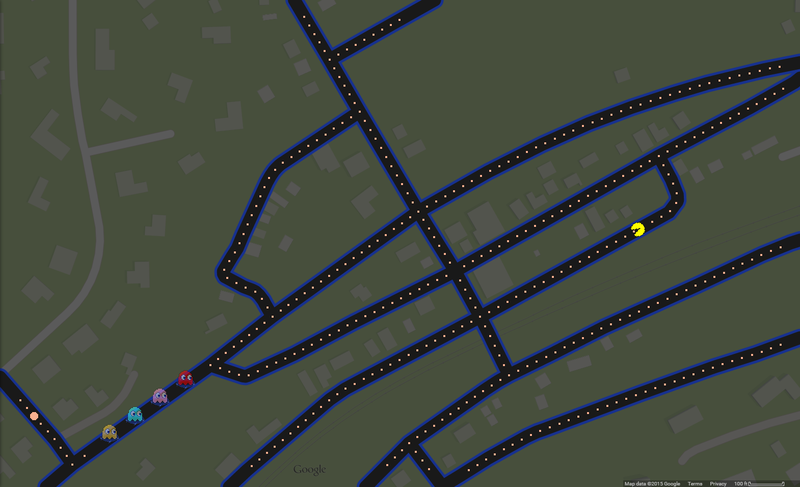 So, there you have it - the ten best places I could find to play PAC-MAN in or near Reno. If you, like me, are watching the progress bar move listlessly and need to kill some time, you could certainly do worse things than trying to find ten better ones.